UK pet owners are in some cases paying through the nose for pet treatments and insurance, according to leading technologist, Aquarium Software. UK pet owners are in some cases paying through the nose for pet treatments and insurance, according to leading technologist, Aquarium Software. Aquarium says that while some of the apparent regional cost differences can be explained by economic factors like higher costs in more affluent areas, others cast doubt over how vets’ bills and pet insurance premiums are calculated, leaving consumers scratching their heads at huge regional price discrepancies. Animalfriends.co.uk found that there are enormous price differences of as much as several hundreds of pounds to treat the same pet condition, in different post codes across the country. (https://www.animalfriends.co.uk/blog/postcode-lottery-how-vet-bills-vary-across-the-uk/ ). 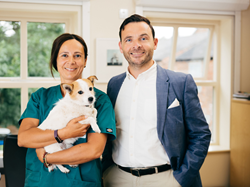 To treat an animal with diabetes, for example, will set a pet owner back £444 in St Albans, compared to £96 in Leeds. Megan Jerred from Animal Friends noted that “not only are vet fees increasing year by year, but they are generally unregulated”, which may account in part to the huge differences between areas around the country. Tesco Bank said its premiums were assessed “on an annual basis and prices can go up or down depending on a range of factors”, suggesting that postcodes can have a serious effect on vet bills and therefore insurance premiums. “Big Data will start to bring insurance policy pricing in line with actual risk, which is a good thing for consumers,” said Mark Colonnese, Director at Aquarium Software. There does however appear to something fundamentally wrong if the price of pet treatments is four times higher in St Albans than in Leeds; or perhaps there is something else going on that’s skewing the data, which is not so obvious to pin down,” he concluded. Any suggestion that simple economic indicators like regional variations in property prices, for example, are to blame (it’s over three times more expensive to buy a house in St Albans than in Leeds), is quashed by the fact that vets’ bills in Doncaster average £463, compared to a whopping £919 for the same treatment in Southend-on-Sea. The difference in average property prices between the two towns is a modest 20% or so; something else must be going on with vets’ bills, rather than any simple property price indicator.